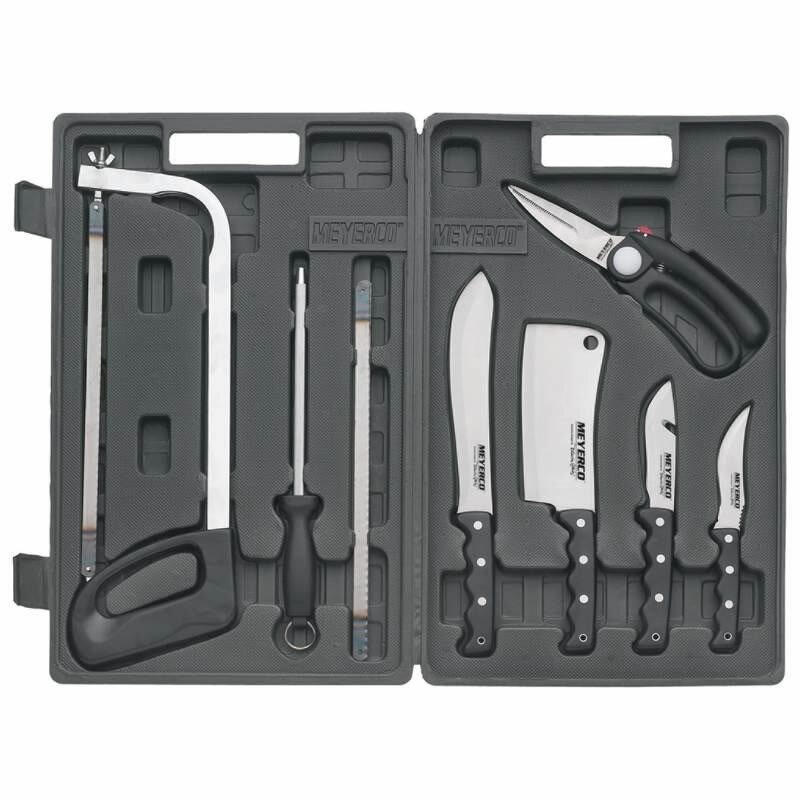 Set Includes 8″ butcher’s knife 5-1/2″ boning/caping knife 4″ skinning knife Heavy-duty cleaver Game shears with built-in wing notch Sharpening steel Hunter’s bone saw with two replacement blades This set comes packed in an impact-resistant, blow-molded case and cardboard sleeve. Knives feature 420 stainless steel blades, triple rivets, and full tang construction with phenolic handles This kit earned the North American Hunting Club’s “Seal of Approval.” Limited forever warranty. Sleeved.